Food It Yourself Garden 2015- The End | Food It Yourself! There’s a hard freeze in the forecast for Central Massachusetts. That means it’s time for the 2015 Food It Yourself garden to be dismantled. There were some triumphs and some tragedies this year. As always, though, I learned a lot about how to grow things to eat. 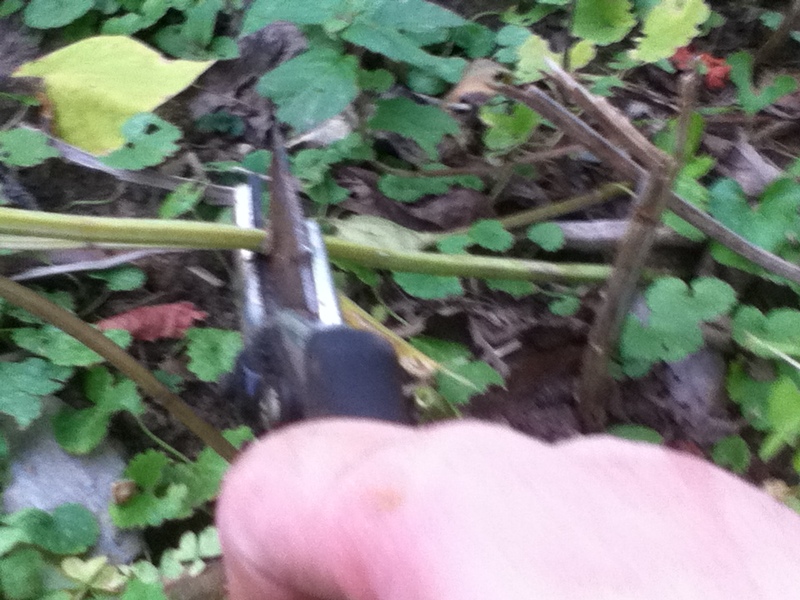 I had to prune back my bee balm, which also did very well this year. The bees and hummingbirds love the stuff. My herbs were absolutely spectacular this year! Oregano, thyme, mint, sage, chives and dill all grew with wild abandon. My strawberries, which started the year spindly and weak, are now thriving. They fruited very well also. The fruit kept our local chipmunk very happy. Maybe next year the little punk will share. The heirloom string beans I planted were especially high yielding. I don’t think I’ve ever had a bush bean produce over such a long time. I got some chamomile to sprout, grow, and bloom in a pot. We’ll see if it winters over. The rhubarb seems to have taken hold. So, evidently we got exactly one cantaloupe. It was growing in the tall grass next to the garden. I found it in a state of partial decay. Tomatoes gave mixed results this year. We had plenty of cherry tomatoes for snacking, salads, tossing into pasta dishes, and two batches of homemade ketchup. 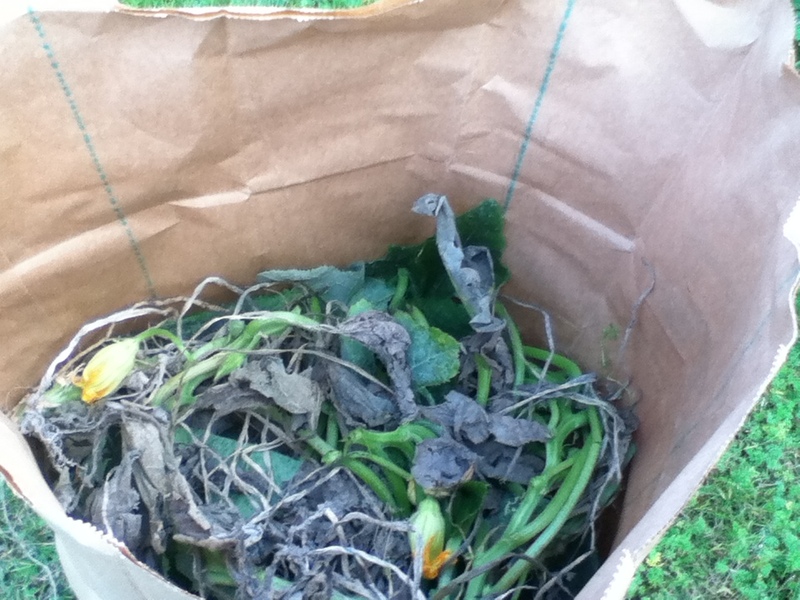 However, the plants contracted early season blight. The leaves turned yellow, then brown, even though the plants continued to bloom and the fruit to ripen. 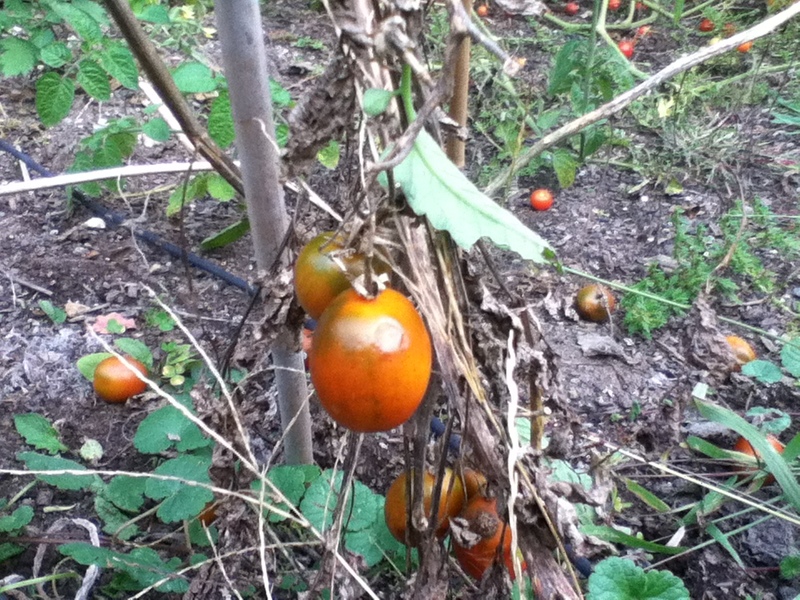 The wilt did prevent us from taking advantage of the unusually warm September in the Bay State. As the fungus spread up the stems the fruit started to taste like a swamp. It was hard to get a good picture, but the tops of the plants stayed green and growing while the lower stems were going brown. The zucchini produced amazingly well, but every gardener knows it is impossible not to have too much zucchini. I still have about a pound in my freezer, and a couple loaves of zucchini bread. Our cucumbers were quite disappointing; we got a few for salads but never enough for pickles. The pumpkins were a total disaster. After a dramatically promising start the stems rotted through. The leaves yellowed and the two lovely pumpkins decayed before they were even close to ripe. Mr. Food It Yourself and I were especially sad about the pumpkins. 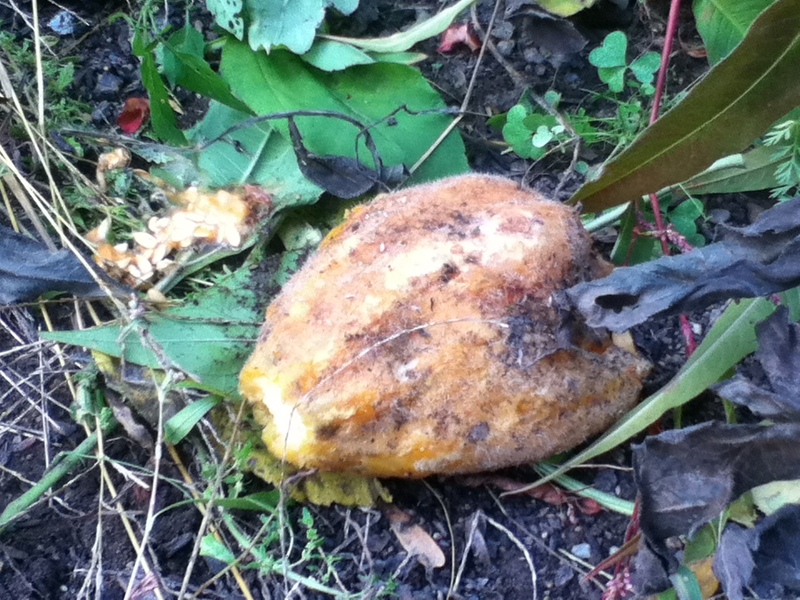 We have analyzed the fungus problem and determined that over the last few years we made a rookie gardening mistake. We planted the same crops in the same places for several years. That’s just asking for insects, fungi, mildew, and all manner of bad things to take hold. We just kept offering the same hosts every growing season. The 2016 garden will have to be a nightshade and cucurbit free zone. We had to pack up all the vines and stuff and bring them to the municipal yard waste dump. We can’t have those fungi sitting in the yard re-infecting our soil and spreading spores all around the neighborhood. I don’t want to be that guy. Now, we will let the garden sleep. Next year, we’ll be planting completely different things in hope of starving the microbes that hit us this year. It was a good year over all. How did your garden turn out? Let us know in the comments section.